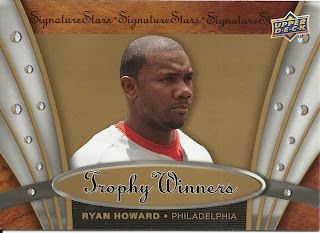 Indians Baseball Cards: 182 Packs of Baseball - 120 - Howard You Like a Trophy? 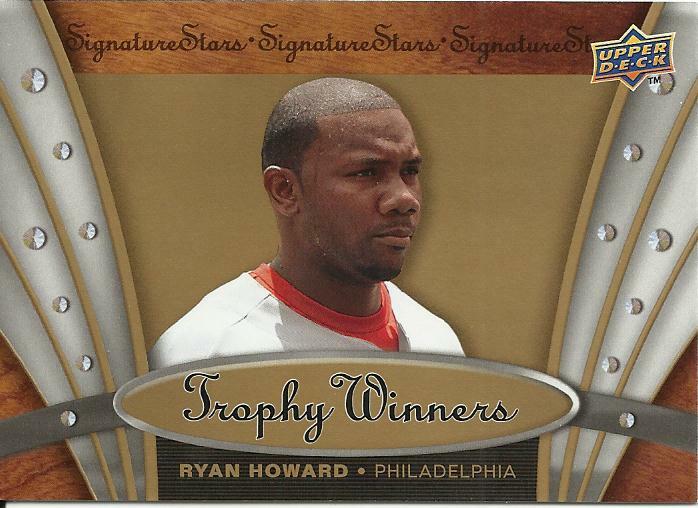 182 Packs of Baseball - 120 - Howard You Like a Trophy? I spent the evening watching the USA take medals and/or place highly in swimming and women's gymnastics. Very proud to be an American for sure! 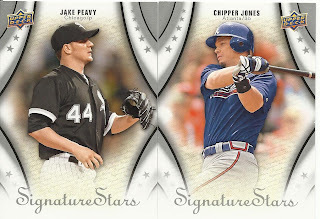 Tonight, we celebrate all things good about America by opening a pack of 2009 Upper Deck Signature Stars. 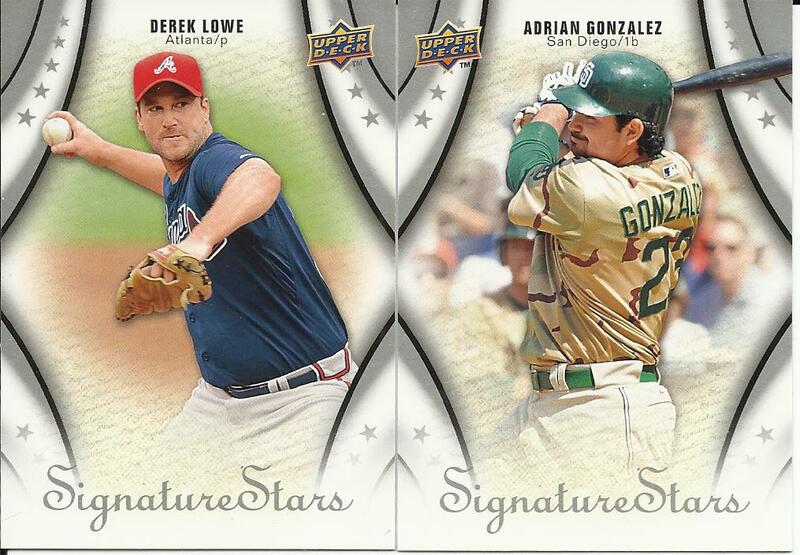 Er, well, there is the whole "NOT authorized by MLB" thing, but we'll ignore that for tonight. These are pretty nice cards. And, despite not being authorized, you can still pretty well figure out which team is featured by looking at the players.